Small group math instruction time is precious, and the resources and activities you choose can really maximize that time. 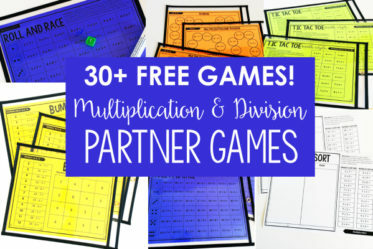 In this post, I will share my top resources that I use for my small group math time. 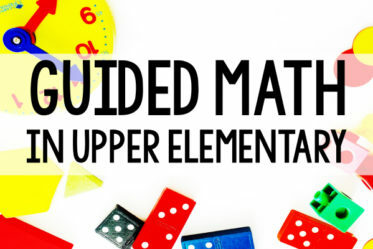 Small Group Math Instruction Resources, Materials, and Activities – You are here! 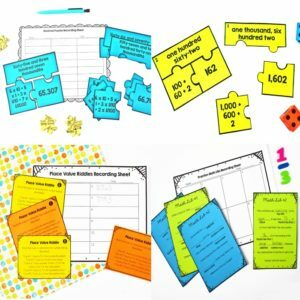 Small Group Math Assessment and Data Tracking <— Click to read. Tips for Teaching Small Groups in Math <— Click to read. 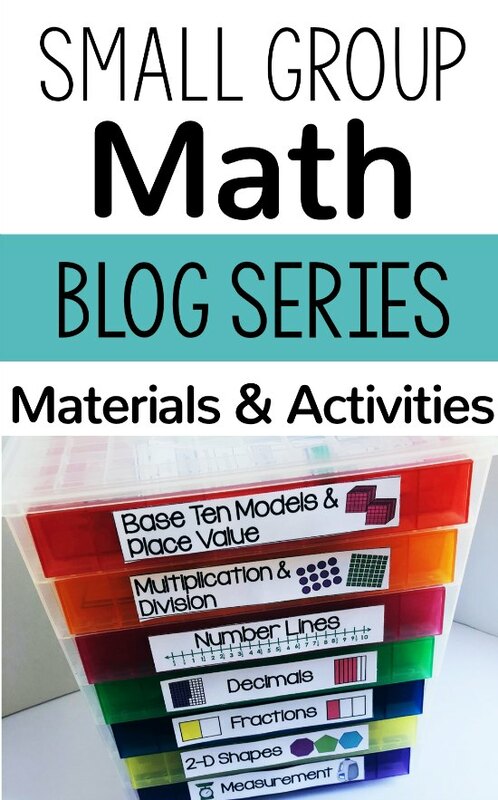 Manipulatives —> See my go-to math manipulatives for fifth grade here. 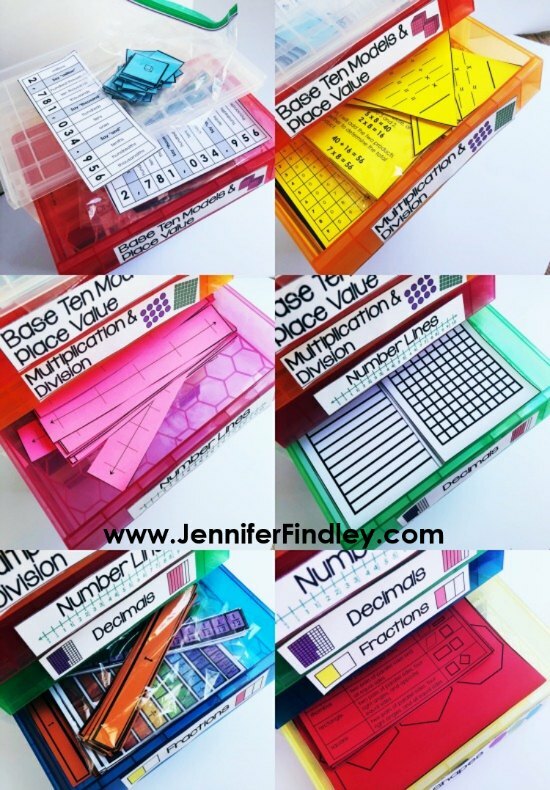 Printable Manipulatives —> Read more about these at the bottom of this post. 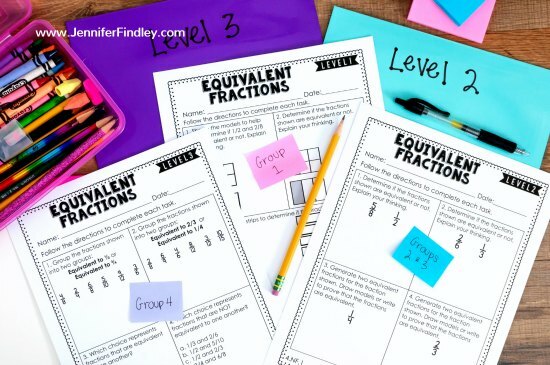 Planning Forms —> Click here to go to my post on planning for small group math instruction to grab those forms. My leveled skill sheets are perfect for my small math groups because they are already leveled and ready to go. Each standard (or substandard) has three levels: approaching grade level, at grade level, and above grade level. 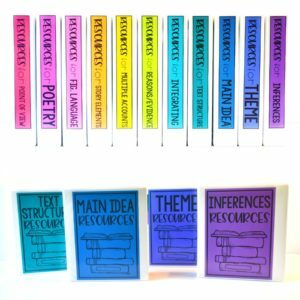 These printables give me a perfect starting point for each of my groups. The other benefit of using these leveled skill sheets is that each level is 100% unique from the others, so my groups can progress through the levels as their mastery increases. Click here to see 4th Grade Math Differentiated Skill Sheets. Click here to see 5th Grade Math Differentiated Skill Sheets. 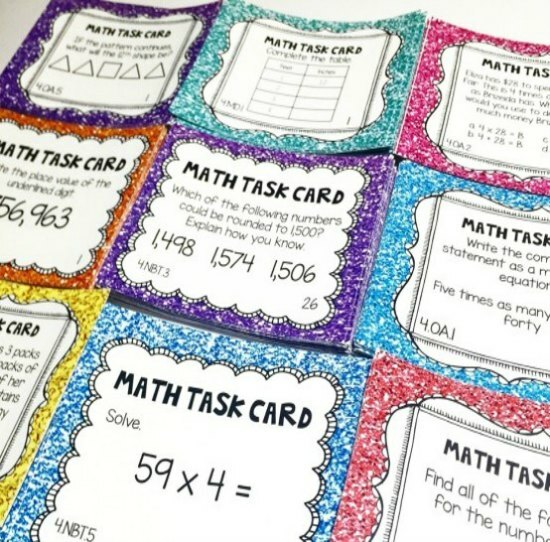 Math task cards are perfect for small group math. 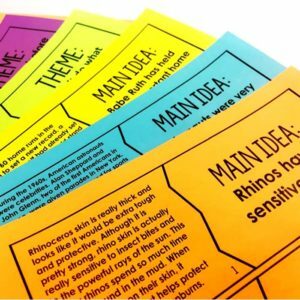 The entire group can focus on one task card, or you can give each student their own specific task card to work on while you touch base and monitor each student’s progress. The best part about task cards is that their non-threatening format that allows the students to focus on one problem at a time. 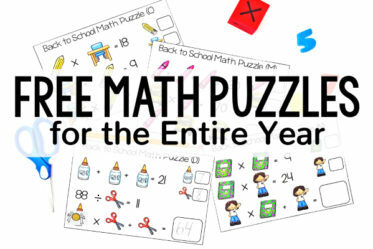 For my groups who need more support, I will sometimes help them complete the most difficult math center work (replacing that work with something else or having them finish it). To read more tips for supporting your students during math center time, click here. Small group math instruction is the perfect opportunity to have students practice with concrete, hands-on manipulatives. Present a task or a problem for the students to solve using provided manipulatives. 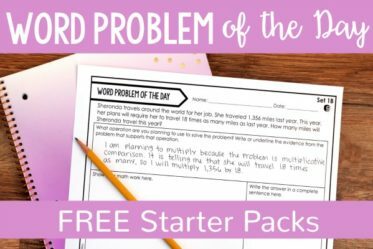 The problems you present can be word problems, computation problems, or a mix of both. One of the easiest and one of my favorite resources for small group math is whiteboards with dry erase markers. I present a problem or a task on my whiteboard, we discuss it together, and then we solve it together or the students solve it on their own whiteboards. Small group instruction is the perfect time to practice word problems and constructed response math tasks. You can use this time to really dig into difficult tasks that many students struggle to comprehend in whole group. 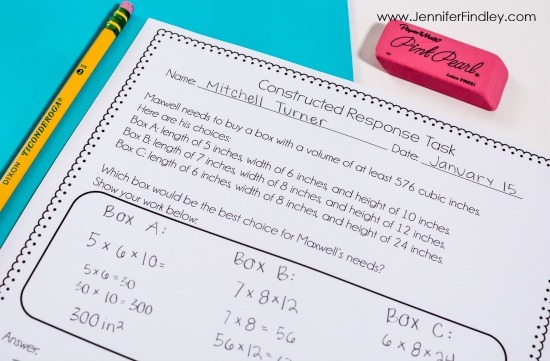 If you need constructed response math tasks, then click here for 4th grade and here for 5th grade. I love using manipulatives in math instruction, but sometimes lugging out sets of manipulatives isn’t practical when time is limited. For this reason, I like to use printable manipulatives that I store in a small desktop container. 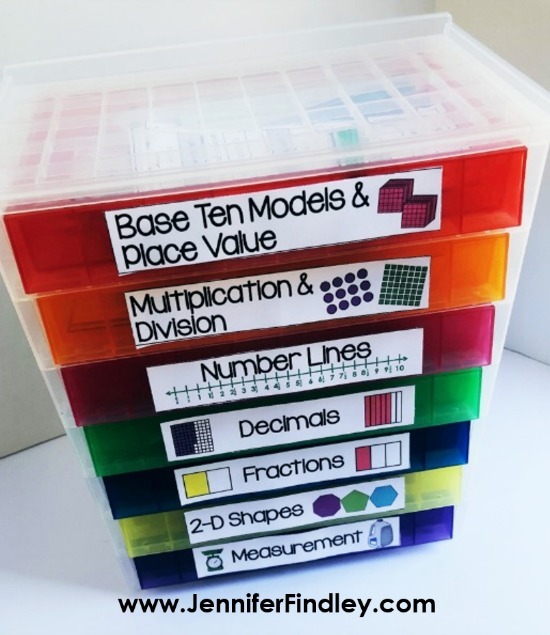 Each drawer of the container (see the container I use here) holds different manipulatives for the main skills in 4th-5th grade. I print these on colored card stock and laminate them for durability and so the students can write on them with dry erase markers. 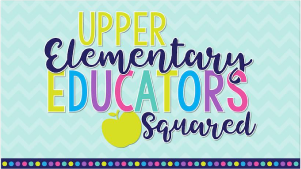 Click here or on the image to download the printable manipulatives shown. The download also includes a brief explanation of how you can use each type of printable manipulative in your small group instruction. Click here to grab the labels for the container. Want to read more about math centers, which is what the rest of the class is doing while I am pulling small groups? 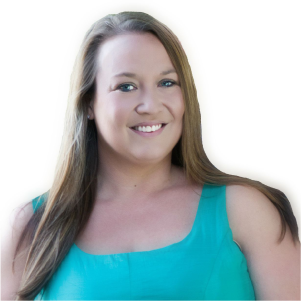 Click on any of the links below to check out more helpful articles. 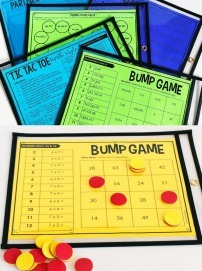 Do you have the labels for the manipulative drawers for sale on TPT? I was so excited about this that I went and purchased the same container as you. Now I’m sitting here trying to fins out how can I get those labels. Thank you for this. I look forward to this transforming my small group time tremendously! Thank you so much for taking the time and effort to share with all of us what has worked for you with guided math! In our district we are required to have students complete workbook pages for the lessons we teach. These act as a common assessment across the grade level and throughout the district. How would you suggest embedding those into a guided math structure? I’ve tried having students start them all at once after whole group instruction and also tried making that part of their “At their Seat” stations. Students seem to struggle to complete the pages within one station rotation (mine are typically 20 minutes). I reduced number of required questions substantially (and flexibly based on the readiness of my kiddos/ groups), but still had lots of late/ missing workbook pages last year. Any suggestions how I could improve this for next year? Thanks! Hi Jennifer! I’ve been reading through your posts, and I was wondering – do you have your students turn in their work daily, or do the students hold on to their work to be checked at a later date? 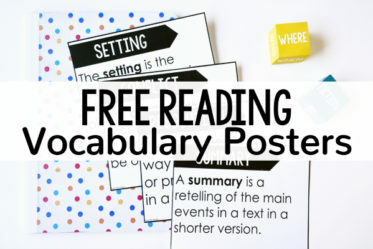 Do you have a third grade version of your leveled skill sheets available? I really would love to use them!